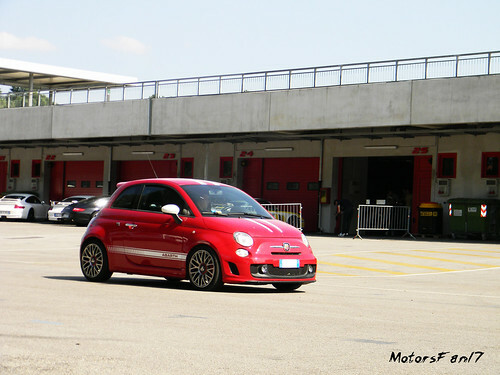 I love the car, but is it a real 695 Tributo or just with the stripes?? @Seger: mine is not a Tributo Ferrari, i don't even want to make it look like one, i've put the Scuderia stripes (white, the 695 are grey) because the Scud is my fav car. Alright, I couldn't see it clear with this small photo!! I must say it is a freaking good looking Abarth.. Great work man! !